Many of the highly publicised tax changes over recent years remain in limbo as the election looms! Here’s an update of the current state of play of tax legislation that has not been passed by Parliament. We have serious concerns about a significant backlog of legislation that has been hanging around, unresolved in Parliament, some of this dating back nearly two years. 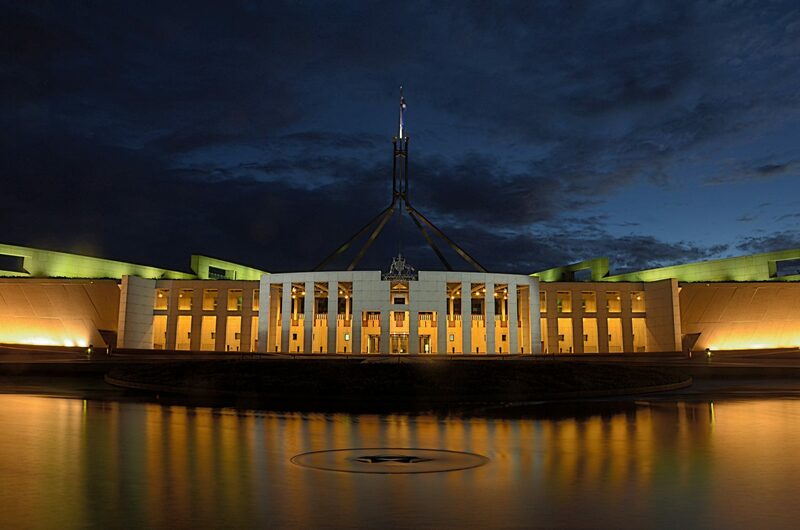 There are currently 291 bills sitting before parliament, which whilst not all of them are tax related, this is undoubtedly causing significant uncertainty for business owners and taxpayers who are left guessing when and how these changes may affect them. However, with Parliament only sitting one or two more days before the Election it’s unlikely that many, if any of these announcements will get through and then irrespective of the Election result expect that all bets are off. 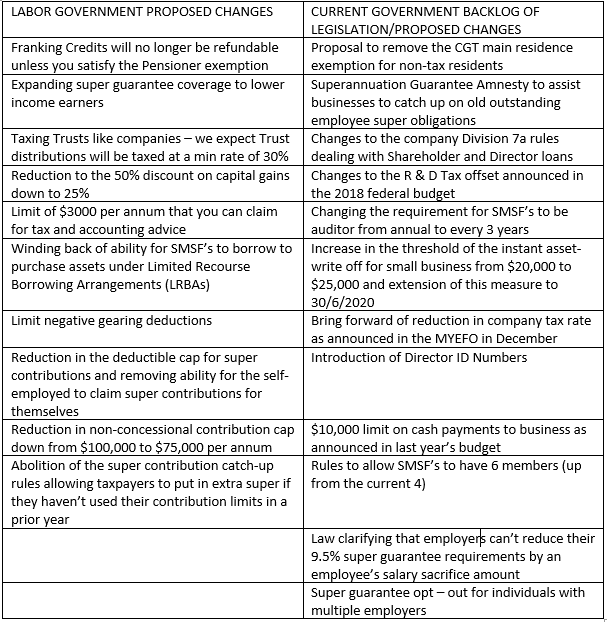 We have also been asked by many of our clients about some of the tax law changes that are proposed if we have a change of Government, particularly the highly controversial changes to franking credits. Some of these changes will have far reaching consequences for our clients. However oftentimes the media reports don’t give you the full story as to how these changes may affect you so if you need the full facts please don’t hesitate to get in touch with us so you can be informed.